Need a little more color and print in your wardrobe? This one piece will give you both. 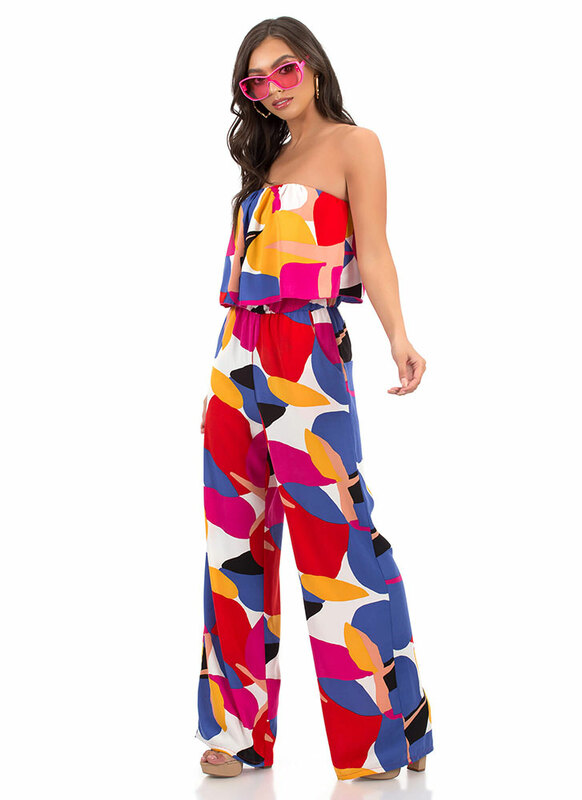 Strapless, non-stretchy, palazzo jumpsuit features an elasticized bustline, wide pant legs, a flared top for a tiered look, and an allover, multi-colored, abstract print that resembles cobblestone. One-piece is finished with a stretchy waistband and no closures. Pattern placement may vary.